We will have a magnificent array of papers for our program unit "Working with Biblical Manuscripts," at the SBL International Meeting in London, to be held at King's College in London, 4-8 July 2011. There will be at least three sessions loaded with papers on textual criticism, and at least one focused on the Hebrew Bible (including versions). The call for papers closes today, 31 January. So hurry up, make your submission at the SBL-site! A new BBC series, "The Beauty of Old Books" will take a look at the appeal and importance of books in history. The first episode of four half hour programmes is to be broadcast on BBC Four on Monday 7 February,featuring Codex Sinaiticus and the Winchester Bible (12 cent.). Other episodes will feature works such as the Luttrell Psalter, Chaucer’s Canterbury Tales and Lewis Carroll’s Alice in Wonderland. Previously, BBC has broadcasted a series on old maps, "The Beauty of Maps." If you are in Britain you can watch this series on the BBC iPlayer (for a few more days). I should also add in this connection that the new Hendrickson's facimile edition of Codex Sinaiticus is now being shipped out (I hope to get it soon). Wieland Willker has recently posted an extensive description including images (2,5MB) of an early fragmentary lectionary (8th cent.) found in his hometown Bremen, which ETC-blogger Dirk Jongkind had drawn his attention to – life is full of surprises. The MS was first described by Klaus Alpers, of Hamburg: "Ein Handschriftenfund zum Cyrill-Glossar in der Staats- und Universitätsbibliothek Bremen" in Lexicographica Byzantina: Beiträge zum Symposion zur byzantinischen Lexikographie (Wien, 1.-4.3.1989), Vienna: Österreichischen Akademie der Wissenschaften, 1991), 11-52. The lectionary, Codex Bremensis Manuscripta c. 11, contains the following texts: John 18:18-28; Mark 1:2-3, 5, 7-8; and John 20:4-15. It has recently been assigned a Gregory-Aland number by the INTF, L2451. So, look around in your own town, there may be some old Greek New Testament MS around somewhere, unknown to the text-critical world. And, I wonder how Dirk found out about it? Did he stumble upon Alpers' description? Did scribes doctor the MSS? How do we explain the Bible’s 400.000 errors? Why does a “loving God” permit evil in our world? What answer does the Bible give for the problem of evil? These questions are not new, but in his scholarship Bart Ehrman has raised them again in an engaging way. 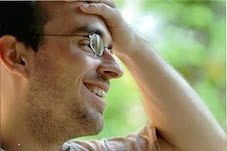 A new website has recently been launched which seek to provide responses to Ehrman’s provocative conclusions from a conservative and apologetic standpoint EhrmanProject.com. The website features several videoclips by Alvin Plantinga, D. A. Carson, Ed Gravely, Michael Kruger, Darell Bock, Ben Witherington and Daniel Wallace. I haven’t looked at them yet. Can we as text-critics (and teachers), often working with dry data, learn something from this Swedish professor Hans Rosling? If nothing else, we could get some inspiration for our conference presentations. Biblical Archaeology Review published an article by Harvey Minkoff at least eight months ago which I have just now noticed, here. The piece describes variants in the Dead Sea scrolls and other parts of the larger Hebrew Bible tradition including the Septuagint. This article is ideal for a seminary student. Read the whole story here (HT: Paleojudaica). Read Luijendijk's scholarly account in, “A New Testament Papyrus and Its Documentary Context: An Early Christian Writing Exercise from the Archive of Leonides (P.Oxy. II 209/P10), Journal of Biblical Literature (2010): 575–96 (available here). “Everything I’ve done for 35 years has led up to this,” said Bethel Professor Mike Holmes, reflecting on the online and print release of the new edition of the Greek New Testament that he recently completed. Holmes, professor of biblical studies and early Christianity, spent his yearlong sabbatical leave working as sole editor on the new edition. This is a reminder to submit your proposal for the for the 2011 SBL International Meeting in at King's College in London, 4-8 July, The call for papers closes 31 January. The program unit "Working with Biblical Manuscripts," which I and Jan Krans chair, has already received several very interesting proposals of papers – there will be at least ten papers, and now I am not counting Peter Head's paper, which will probably be proposed some time on 31 January (and possibly composed in the beginning of July, on the train from Cambridge to London). So go to the SBL site, log in, and make your submission! Access the database "Greek Bible in Byzantine Judaism" here. See also this earlier report on the digitization of the Cairo Genizah fragments by Christian Askeland, one of our men in Cambridge. This is a guest-post in which Ryan Wettlaufer shares his personal thoughts about his recent thesis defence at the University of St. Michael’s College, University of Toronto, as described more formally in a previous post. Be sure to read related posts with advices for PhD students, "Where to do a PhD" and "Theses in Textual Criticism", and other thesis defences here and here. 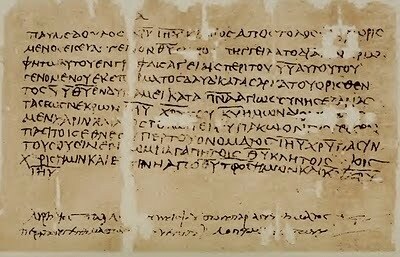 In December I successfully defended my doctoral thesis "Conjectural Emendation in New Testament Textual Criticism with the Epistle of James as a Case Study" at the University of St. Michael’s College, University of Toronto, and Tommy has very kindly invited me to guest blog about the experience. The set-up of the defence was interesting. As a young student you get all these wild images in your head of what the defence will look like, and most of them look something like the imposing set-up of a supreme court hearing or perhaps something out of a Masonic temple. In reality, it consisted of a very normal looking boardroom with a long table, water glasses, and an overly optimistic number of copies of my abstract for any guests. There were six professors in total, including John Kloppenborg – my supervisor – and Michael Holmes – my external examiner (who participated by speaker phone). It was interesting that the examiners, while all New Testament scholars, each had different areas of focus, such as patristics, philosophy, etc. They began by asking me to leave the room while they discussed the agenda. Once I returned, they began the formal questioning, with each examiner being allotted 15 minutes. For the second round, each examiner was given another 5 minutes. When that was done, they again asked me to leave while, I assume, they discussed their thoughts and voted on the outcome. Or possibly they just flipped a coin. Either way, as my supervisor invited me back in he smiled and said “Congratulations.” When the committee chair complained that he had tipped their hand, I wanted to joke that he was referring to me finally getting a hair cut, but alas, the wit is never quick enough. So what were my reactions? The first was actually disappointment. I was disappointed because it really felt like I had done a very poor job. In my memory, I had been a babbling fool, stuttering away, barely able to make a sentence. Sometimes after accomplishing something people try to downplay it with false humility, but this was not that: I really believed I had done poorly! It wasn’t till I talked with a colleague whose own defence had been just a month prior that I discovered this is a relatively common reaction. “I felt the exact same way” he explained, “I was sure I had sounded like some imbecile who could barely talk!” Fortunately, some of his colleagues had attended his defence and were able to verify that, contrary to whatever feelings he had, he had actually done a very good job. Since then, I’ve heard of many doctoral students who had this same reaction. There must be some interesting psychological phenomenon at work there, but I’ll let someone else tackle that. My second reaction was surprise. Before the defence I had prepared by drawing up a list of all the points I thought were most important about my thesis, and made notes of all the facts that I thought needed to be discussed. Looking over that list afterwards, I was surprised that we had ended up discussing not a single one of them! Similarly, I had collected from various doctoral advice websites all over the internet several pages of common defence questions. As I looked over that list – you guessed it – not a single one of them had been asked. The questions that were asked were very surprising. A lot of them had to do with how my thesis related to their own area of focus. Some other questions poked at points that I thought were rather minor or unimportant. Other questions pointed out to me areas of the thesis that really could be improved, and I was thankful for that. The most surprising questions, however, were the ones that demonstrated how equivocal this language really is. More than once an examiner asked a question that left me shaking my head in confusion, wondering whose thesis they could be talking about. Each time it would turn out that they had interpreted something I had written in a way completely different than I had intended. As I would review the section of my thesis in question, however, I would realise that the problem wasn’t that I had written it incorrectly, but it also wasn’t that they had read it incorrectly: the problem was that the language in question could legitimately support more than one meaning. It makes me wonder how we can ever hope to communicate here online, where our writing is usually less thought out and certainly less supported by body language or voice tone. It also made me realise how important it is to give people – especially people we disagree with – a sympathetic reading. Finally, I was (eventually) happy! Not right away, mind you. Right away it was rather anti-climactic. I walked out of the defence and instead of feeling like I’d just accomplished something, it really felt like I had just finished a meeting. You imagine going out and having some crazy celebration, whooping and hollering with all your friends, but all I actually did was drive home, pour a cup of tea, read the ETC blog, and go to bed. Not much whooping there (some on that ETC blog, but only when they’re re-launching a journal!). After a good number of days though you suddenly realise what has happened. I think that realisation comes the first time your long-honed instinct nags you to go finish editing that draft of chapter 1, and then it dawns on you: you never have to revise chapter 1 again! In closing, what advice do I have for those preparing for their defence? First, don’t be nervous. Really, don’t be: there’s just no need for it. For the rest of your life, at dinner parties or receptions, people will ask you what you studied and when you begin excitedly telling them about your dissertation you’ll only get to about the 30 second mark when you’ll see their eyes glaze over and you’ll realise that they were only asking to be polite! Your defence, on the other hand, will be the first and last time in your life that you will have a room full of people who both know what you’re talking about and want to hear you talk about it – for several hours at that! Enjoy this chance while you have it! Second, don’t be afraid to direct the conversation. This will be one of your best chances to get really thoughtful and in-depth critique, especially if, like me, you have the benefit of a high calibre external examiner. Unfortunately, the structure of the defence – rules about who can speak when or for how long – can really limit that critical discussion. If there’s something you really want to bring up or draw attention to, therefore, don’t be afraid to speak up and direct the discussion that way. Finally, no matter how many people you’ve had edit your dissertation, you will still get a page long list of typos and corrections from the committee. I got 5 pages! (Most of them were just errors in accenting though, so that doesn’t matter, right? [Little joke for P.J. Williams there!]). Start getting ready to accept that now, and then it won’t seem so bad when it happens. That’s my thoughts! And much thanks again to Tommy Wasserman for this invitation, and this venue. "Conjectural Emendation in New Testament Textual Criticism with the Epistle of James as a Case Study"
In the end of December Ryan D. Wettlaufer successfully defended his thesis "Conjectural Emendation in New Testament Textual Criticism with the Epistle of James as a Case Study," submitted at the University of St.Michael’s College, University of Toronto. Six professors were present at the examination including supervisor John Kloppenborg and the external examiner Michael W. Holmes (via speaker phone). Below is the abstract. I have invited Ryan to share his thoughts about the occasion in a separate post which will follow tomorrow. This dissertation is a study of conjectural emendation as it relates to the text of the New Testament. Unlike many other ancient documents upon which textual criticism must be practiced, the New Testament has a rich and full textual history. Over the last two millennia it has inspired thousands of generations of copies, through which an astonishing amount of corruption has accumulated. Many counts suppose the total number of variants to be over 350,000. At most points it appears that the correct reading can be found in one of the close to 6000 manuscript copies that survive to this day. At a not-insignificant number of other points, however, none of the extant readings appears to be authentic. Such cases therefore call for resolution by conjecture, but in the history of New Testament scholarship the method has often been rejected, and modern printings of the text usually settle for the least inferior of the surviving readings. Why has this situation developed, and what should be done about it? This dissertation will answer these questions by looking more closely at a number of different subjects. In chapter one it will engage in a more theoretical study of conjectural emendation. It will describe the nature and practice of the method in more detail, survey the history of its use and abuse within New Testament studies, and discuss its use by textual critics in other classical fields. It will then delve into three common reasons why New Testament critics have often rejected the method: 1) the hypothesis that the large number of surviving manuscript copies ensures that the correct reading necessarily survives somewhere among them; 2) the theological belief that God has providentially preserved the original text in one or more of the surviving manuscripts; 3) the philosophical position that textual critics should not privilege any one “original text,” by conjecture or otherwise, but should value instead the narrative revealed in the history of variation. It will then conclude with more practical instructions on when and how to make conjectures. The remaining chapters will move the discussion into concrete terms by engaging in several case studies from the epistle of James. In chapter two it will look at Jas 3:1 with its curious command that μὴ πολλοὶ διδάσκαλοι γίνεσθε. and subsequently argue that the text should be emended to read μὴ πολύλαλοι διδάσκαλοι γίνεσθε. Chapter three will turn to the famous conjecture of Erasmus, who proposed that the text of 4:2 be emended to read φθονεῖτε instead of φονεύετε. Chapter four explores how a long lost scriptural quotation can be rediscovered by emending πρὸς φθόνον to πρὸς τὸν θεόν. Finally, chapter five will look at what not to do by examining a farreaching conjectural proposal that would omit as interpolations the references to Christ in 1:1 and 2:1. Through these case studies, many of the ideas and truths that were explained in chapter one only in abstract will be seen to flow naturally from the texts themselves. In the end, all of this should work to restore in New Testament studies the place of conjectural emendation, and in so doing work to restore the text of the New Testament itself. This year is a good one for readers of the GNT. At SBL we received copies of 'our very own' Michael Holmes' SBLGNT. One of the features that I appreciate with the SBL edition is the simplified apparatus and the comparative citation of the Byzantine text from the Robinson-Pierpont edition. I would like to spend more time reading the 'Robinson-Pierpont' itself and I am wondering about my options. There was a new 'reader' that was published, but I would appreciate something simpler, with just the Greek text (+ apparatus, yes), and preferably something small, on the order of the NA, UBS, and SBLGNT. I've been using the PDF's that Maurice has graciously made available to the public. I suppose that I could pick up one of the hand-sized, traditional editions from the Greek Orthodox community here in Jerusalem, but a list of differences between 'it' (whichever edition) and the R-P would inevitably arise.